Magicyoyo N9. 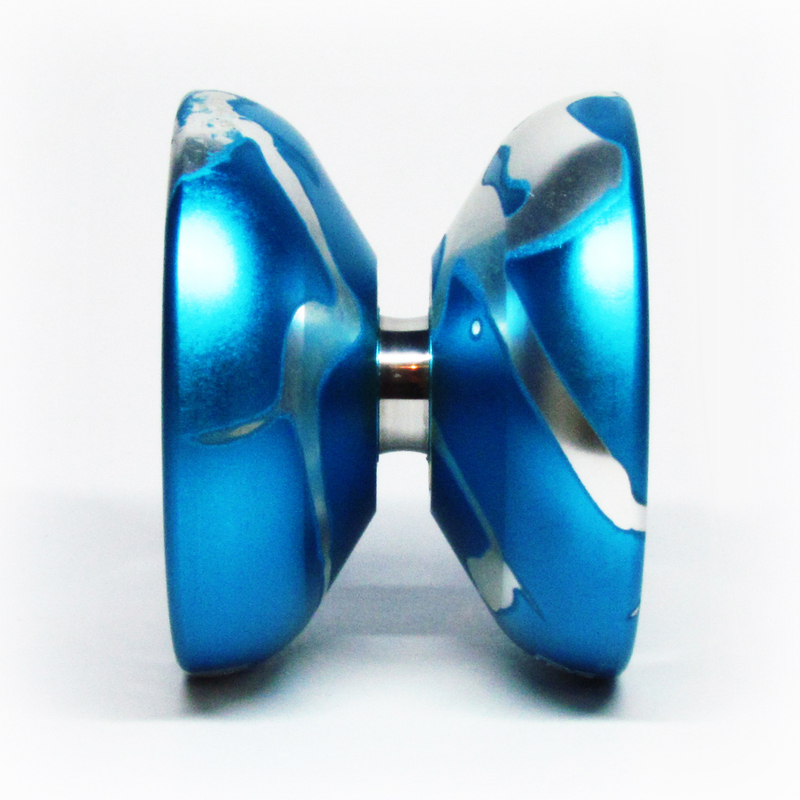 This is a hubstack yo-yo made back in year 2011. Perfect for those who loves HUBSTACK play. Not just hubstack trick, you also can be good at string tricks with this yo-yo. Only for Rm60 each. Get one today! Small size, heavy weight, and low price? If you hit all three, you're Floating. 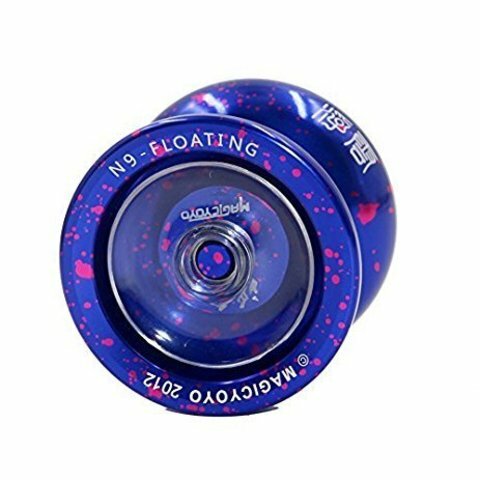 The Magicyoyo Float has the Chinese characters for "floating cloud" engraved on it. 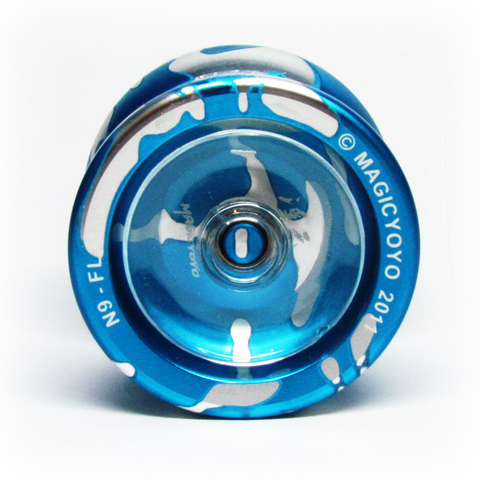 Like the T9 and T10, the N9 is loaded with full side stacks similar to the YoYoFactory Z-stacks. Land it on your finger or grab the yo-yo while it's spinning, or our favorite, starting a yo-yo by pulling the string while the yo-yo is in your hand. There's a whole new range of tricks waiting for you to master. That said, the true value of this yo-yo may come out once you remove the stacks and play standard 1A. When you remove the stacks, the yo-yo center lightens, giving the yo-yo even more impressive stability. You'll really feel it on the first throw; the stacks themselves are a great device to regulate the yo-yo weight and weight distribution. Without the stacks, the yo-yo weighs 68g, which is still pretty hefty, so you are sure to get great spin and stability out of the N9. This yo-yo comes with a specially rounded bearing designed to keep the string away from the body until you're ready to bring it back to your hand. If you're looking for a great yo-yo to practice weaving stack tricks into your freestyle, the Dark Angels are not to be overlooked. As you practice over a long period of time, the oil in the bearing will disappear and the yo-yo will become bind-required. Some markings from the anodizing process may be visible on the body.